It’s always a proud moment when something you’ve nurtured for so long starts to bear fruit. I’ve blogged before about why Nokia keeps pushing openness and taking a leading role in initiatives like OB-BAA and ONAP, and why we also champion standardization efforts in the BBF and ETSI NFV. It’s increasingly evident that open software architectures will renew the focus on true product differentiation and stimulate collaborative development between telecom vendors and service providers. This week at the Open Networking Summit North America 2019 we will celebrate another milestone in the path to openness with the first demonstration of how fixed access broadband services (BBS) can be automated with ONAP’s 4th release, the Dublin release. For those not so familiar with ONAP, it’s the latest shining example of what can be achieved with open networking cooperation. The ONAP community aims to create a global service and network orchestration and automation platform for all domains: 5G, enterprise and fixed access. This is a milestone in applying ONAP to the fixed access domain. The goal here is to deliver operational excellence and the best customer experience in the design, provisioning and management of multi-gigabit broadband services. We’re demonstrating the extensibility of the ONAP platform in supporting the orchestration of fixed access services across different locations (Central Office and Core) and technology domains (Access and Edge). Nokia has been particularly active in expanding ONAP’s ability to manage and orchestrate not only virtualized but also physical network functions. This is crucial as we know that operators’ fixed networks will be in a hybrid state, with software-defined elements existing alongside traditional network elements, for many years to come. We’ve built openness into our software-defined access network (SDAN) solutions from the ground up. The model-based, policy-driven and vendor-agnostic automation found in Nokia Altiplano cloud native access platform can be complemented by ONAP or any other truly open networking solution, giving our customers the freedom to architect and adopt what’s right for their networks. The crux is to become more responsive to future service and network innovations and reduce the lengthy development and integration cycles needed to evolve traditional OSS management software architectures. 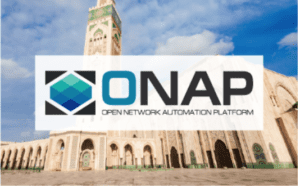 Looking ahead, we expect ONAP to play an important role in the industry alignment and feed back into traditional standards developing organizations for automation in fixed access. This is why the BBS use case relies heavily on using open standards such as the BBF CloudCO Architectural Framework and TMF’s Open APIs. Join us at Open Networking Summit North America 2019 to see the demonstration on the Linux Foundation Networking booth and hear from Nokia’s Tim Carey and others about how we’re planning to continue this journey with ONAP. The event is an excellent opportunity to witness the latest developments in cloud-native networking and next-gen SDN, so I really hope you can come along. The new year will see more than 200 engineers from all over the world gather at our Paris-Saclay site for a Nokia hosted open source event – the jointly held OPNFV Gambia release Plugfest and ONAP Dublin release Developer Forum. As a founder and active participant in both projects, Nokia is committed to their success and I’m looking forward to an event where the focus is on openness and collaboration. Based on the experience of hosting the ONAP Developer event little more than a year ago at the same site, I’m confident the event will be a success! For ONAP, the Dublin release Developer Forum is a critical step in defining and agreeing the contents of the Dublin release, to be ready in mid-2019. Nokia has been a major contributor to ONAP, being especially active in expanding ONAP’s ability to manage and orchestrate not only virtualized but also physical network functions. Together with colleagues, we plan to continue this journey for the ONAP Dublin release and beyond. The OPNFV Plugfest focuses on the Gambia release, allowing developers to fine tune it for different hardware variants, while also providing an opportunity for OPNFV project members to meet and discuss their plans for the Hunter release. 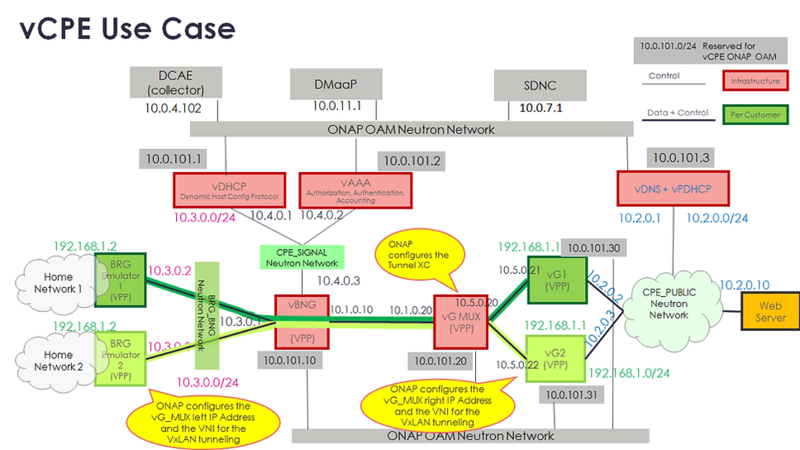 Holding the OPNFV Plugfest concurrently with ONAP helps lay the foundation for future VNF verification and certification activities, a major aspect of ONAP from the very beginning. In addition to compliance and verification, the OPNFV and ONAP cross-project collaboration topics include automated testing, CI/CD, Lab-as-a-Service and infrastructure, all the way to documentation. Such cross-project collaboration is a proof of the synergy benefits between the open source projects hosted by Linux Foundation. This was the aim of Nokia and other member companies when creating the Linux Foundation Networking fund, an umbrella organization within Linux Foundation to bring various networking open source projects closer together and coordinate their activities. In addition to hosting and contributing to the co-located event, Nokia will have demonstrations of our lightning fast 5G networks and cutting-edge open hardware for the network edge. The event is an excellent opportunity to witness the latest developments in open source networking projects, so I really hope you can come along. In addition to in-person participation, remote access to sessions will also be provided. See the original post on the Nokia Blog here. This post originally appeared on Arana Networks. Republished with permission. This blog explains deployment details (using TOSCA/HEAT templates) of some of the important services of the vCPE blueprint in ONAP. It assumes that the reader is familiar with vCPE use case (for which there are several blogs/video available, including a free book from Aarna Networks — ONAP Demystified, or the ONAP Confluence page). The following block diagram provides an overview of the end to end service of vCPE, and how various constituent services are linked together. vCPE end to end use case comprises of several services (some of which are optional, and will be replaced by equivalent services already existing in CSP’s environment), each of which contains one or more VNF’s and/or VL’s. This blog shows details of some of these services, and their associated model templates. 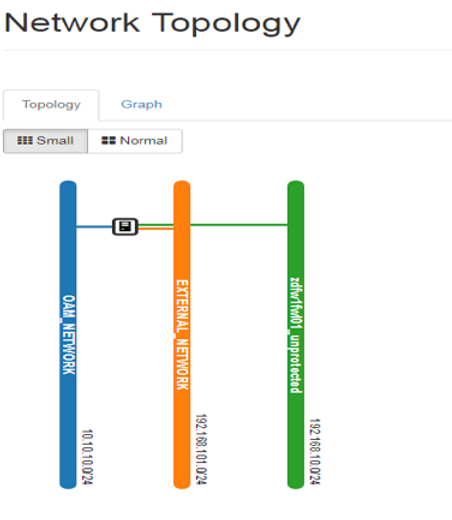 This service consists of vDHCP, vAAA and vDNS VNF’s connected by 2 virtual links (VLs) – cpe_signal and cpe_public, both of which are Openstack Neutron networks. The cpe_public link is also connected to a Web Server. Now, let us examine the Infra Service in SDC Catalog for its constituent components and their details. Notice that the 2 networks (CPE_PUBLIC and CPE_SIGNAL) are modeled in HEAT, and so is the VF module that contains VM’s for all the VNF’s (vDHCP, vAAA and vDNS + vDHCP). The TOSCA template includes node_templates for all the HEAT templates. The TOSCA model definition file for this service can be found here. Let us take a closer look at the Environment file (base_vcpe_infra.env) of this service. Note the details about the constituent VNF’s (vAAA, vDHCP, vDNS and vWEB_Server), including their IP addresses, and the network addresses of the VL’s that these VNF’s are connected to (cpe_signal and cpe_public). For eg., vDHCP & vAAA are connected to cpe_signal network (10.4.x.x), and vDNS and vWebServer are connected to cpe_public network (10.2.x.x). Also, DCAE Collector service is connected at 10.0.4.x IP address. Now, let us look at some of the interesting fields of HEAT template (base_vcpe_infra.yaml) of this service. This contains details about all the VNF’s that are part of this service, and how they will be instantiated using HEAT. Complete copy of the HEAT template can be found here. Note the details about various VNF’s (vAAA, vDHCP, vDNS and vWebServer) and the VL’s (Neutron networks – cpe_signal which connects vAAA with vDNS VNF’s and cpe_public, which connects vGW service to Emulate Internet) that are part of the Infrastructure service. Also note the vAAA instantiation, and details of DCAE Collector IP address, and the installation script (v_aaa_install.sh) in vAAA VNF. Other VNFs (vDNS, vDHCP & vWebserver) have been left out but you can refer to the link above for these details in the HEAT template file. In the next blog, we will examine other Services and their details. In the meantime check out our latest webinar on “What’s new in ONAP Beijing” or request ONAP training if you/your team needs to learn more. In the last blog we talked about how to use a public OpenStack cloud such as VEXXHOST as the NFVI/VIM layer for the ONAP vFW blueprint along with a containerized version of ONAP orchestrated by Kubernetes. As we discussed, in reality, the traffic source and the vFW VNF are unlikely to be in the same cloud. In this blog, we will briefly discuss how the vFW blueprint can span two different VEXXHOST tenants. This is not quite the same as two different cloud regions, but it is a pretty close simulation. Create an account on VEXXHOST with 2 different tenants. If Registering the VEXXHOST into A&AI using ESR UI, change the password length to less than 20 characters. On Tenant1 manually create OAM network, unprotected_private networks with different subnets than on Tenant2. 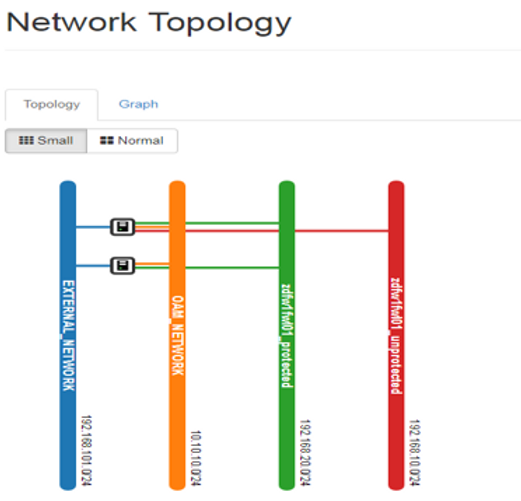 On Tenant2, create an OAM network using the VEXXHOST cloud Horizon dashboard. Add security rules to allow ingress ICMP, SSH &all the required ports along with IPV6 from both the tenants. Edit the base_vfw.env and base_vpkg.env VNF descriptor files to configure them correctly based on the respective Tenants. Copy the above parameters into a text editor to use for subsequent A&AI registration, SDN-C preload, and APP-C⇔vFW_PG VNF netconf connection. Did you try this out? How did it go? We look forward to your feedback. In the meantime if you are looking for ONAP training, professional services or development distros (basically an easy way to try out ONAP < 1 hour), please contact us. Originally published on Aarna Networks, republished with permission. On May-21, Amar Kapadia & I conducted a webinar on the topic of “Debugging OOM Failures”. We started off by giving some context. Our objective was to develop a lightweight, repeatable lab environment for ONAP training on Google Cloud. We also plan to offer this image to developers that need a sandbox environment. To accomplish this, we used ONAP Amsterdam along with OPNFV Euphrates. ONAP was installed using OOM that uses Kubernetes and Helm. All of this software was installed on one VM on the Google cloud. For most users, issues that pop up once in a while are OK. However, for us, the deployment process needed to be consistent and repeatable. For this reason, we had to debug every intermittent failure and develop a single-click workaround script. If you are curious to learn more, check out the slide deck or video links above. Additionally if you have ONAP training, PoC needs, or simply feel like trying out the VM image on GCP, feel free to contact us. We have a whole portfolio of training, services and product offerings. ONAP for the vFW use-case (other use cases might need slight tweaking). With this association, this cloud region will be populated into the dropdown list of available regions for deploying VNF/VF-Modules from VID. Now we need to add an availability zone to the region we created in step 3. SO does not utilize the cloud region representation from A&AI. It stores information of the VIM/Cloud instances inside the container (in the case of OOM) as a configuration file. To add a VIM/Cloud instance to SO, log into the SO service container and then update the configuration file “/etc/mso/config.d/cloud_config.json” as needed. When using OOM, by default the Robot service supports the pre-populated cloud region where the cloud-owner is “CloudOwner” and cloud-region-id is specified via the parameters “openstack_region” during the deployment of the ONAP instance through OOM configuration files. This cloud region information can be updated in the file “/share/config/vm_properties.py” inside the robot container. Appropriate relationships between Cloud Regions and Services need to be setup in the same file for Robot Service Tests to pass. Note: Robot framework does not rely on Multi-VIM/ESR. If you have done all 7 steps correctly, Robot tests should pass and both regions should appear in the VID GUI. If you liked (or disliked) this blog, we’d love to hear from you. Please let us know. Also if you are looking for ONAP training, professional services or development distros (basically an easy way to try out ONAP on Google Cloud in <1 hour), please contact us. Professional services include ONAP deployment, network service design/deployment, VNF onboarding, custom training etc. 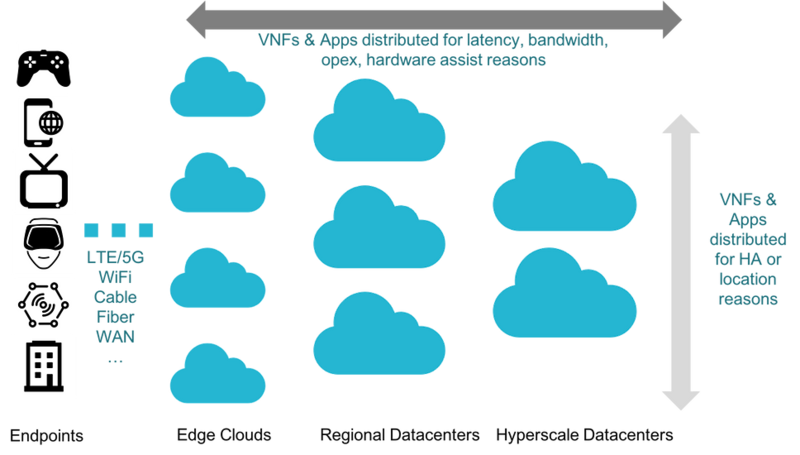 NFV clouds are going to be distributed by their very nature. VNFs and applications will be distributed as per the below figure: horizontally across edge (access), regional datacenter (core) and hyperscale datacenters (could be public clouds) or vertically across multiple regional or hyperscale datacenters. The Linux Foundation Open Network Automation Platform (ONAP) project is a management and orchestration software stack that automates network/SDN service deployment, lifecycle management and service assurance. For the above-mentioned reasons, ONAP is designed to support multiple cloud regions from the ground up. In this two-part blog, we will walk you through the exact steps to register multiple cloud regions with ONAP for the virtual firewall (vFW) use-case that primarily utilizes SDC, SO, A&AI, VID and APP-C projects (other use cases will be similar but might require slightly different instructions). Try it out and let us know how it goes. We will cover the remaining 4 steps in the next and final installment of this blog series. In the meantime if you are looking for ONAP training, professional services or development distros (basically an easy way to try out ONAP < 1 hour), please contact us. This post originally appeared on LinkedIn. Republished with permission by Jason Hunt, Distinguished Engineer of IBM. After attending two major industry events—IBM’s Think and the Linux Foundation’s Open Networking Summit (ONS)—I’ve been thinking about how software and networking are evolving and merging in a way that can really benefit service providers. It’s been interesting to watch how NFV has changed over the past few years. At first, NFV dealt simply with virtualization of physical network elements. Then as network services grew from simple VNFs to more complex combinations of VNFs, ONAP came along to provide lifecycle management of those network functions. Now, with 5G on the doorstep, service providers will need to shift the way they approach NFV deployments yet again. Why? As Verizon’s CEO Lowell McAdam told IBM’s CEO Ginni Rometty at IBM Think, 5G will deliver 1GB throughput to devices with 1ms of latency, while allowing service providers to connect 1,000 times more devices to every cell site. In order to support that, service providers need to deploy network functions at the edge, close to where those devices are located. But accomplishing that kind of scale can’t be done manually. It has to be done through automation at every level. And for that, service providers can leverage the kind of enterprise-level container management that’s possible with Kubernetes. Kubernetes allows service providers to provision, manage, and scale applications across a cluster. It also allows them to abstract away the infrastructure resources needed by applications. In ONAP’s experience, running on top of Kubernetes, rather than virtual machines, can reduce installation time from hours or weeks to just 20 minutes. At the same time, service providers are utilizing a hybrid mixture of public and private clouds to run their network workloads. However, many providers at ONS expressed frustration at the incompatibility across clouds’ infrastructure provisioning APIs. This lack of harmonization is hampering their ability to deploy and scale NFV when and where needed. Again, Kubernetes can help service providers meet this challenge. Since Kubernetes is supported across nearly all clouds, it can expose a common way to deploy workloads. Arpit Joshipura, GM Networking at the Linux Foundation, demonstrated this harmonization on the ONS keynote stage. 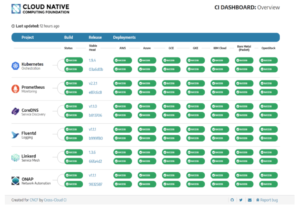 With help from the Cloud-CI project in the Cloud Native Computing Foundation (CNCF), Arpit showed ONAP being deployed across public and private clouds (including IBM Cloud) and bare metal. Talk about multi-cloud! Last October, IBM announced IBM Cloud Private, an integrated environment that enables you to design, develop, deploy and manage on-premises, containerized cloud applications behind your firewall. IBM Cloud Private includes Kubernetes, a private image repository, a management console and monitoring frameworks. We’ve documented how ONAP can be deployed on IBM Cloud Private, giving service providers a supported option for Kubernetes in an on-premises cloud. At ONS, AT&T’s CTO Andre Fuetsch stated, “Software is the future of our network.” With 5G getting closer to the mainstream every day, the best-prepared service providers will look at how to combine the best of the software and network worlds together. Exploring the benefits of a Kubernetes-based environment might just be the best answer for their NFV deployment plans.